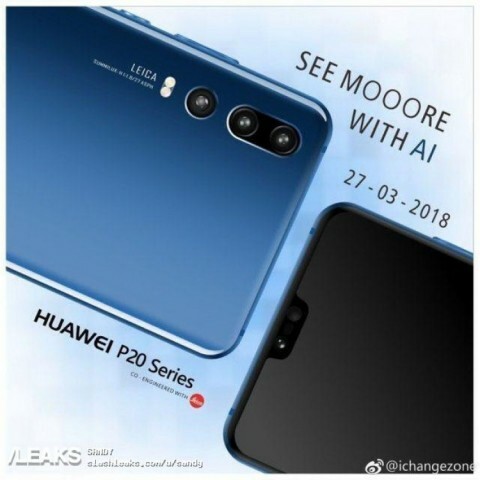 The internet has new leaks regarding the upcoming flagship smartphone Huawei P20. This time, the insiders published an invitation to the presentation of the novelty along with the image of the device itself and the photograph of the front panel. Also, Roland Kwandt, previously called the cost of the Galaxy S9 before the announcement, told how much the new flagships of Huawei would cost. The teaser depicts the smartphone line Huawei P20. It can be like the usual Huawei P20 and P20 Pro. According to some rumors, only in the Pro version will be installed a triple camera, but lately, we’ve seen a lot of different design options, so with confidence, nothing can be claimed.